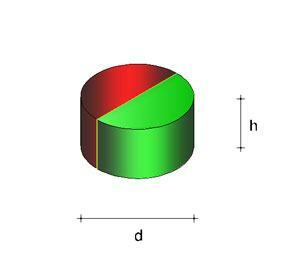 With the magnetisation direction, the length of the magnetic axis will indicate which pole is located at which end. Therefore, the position of the poles can be easily determined. 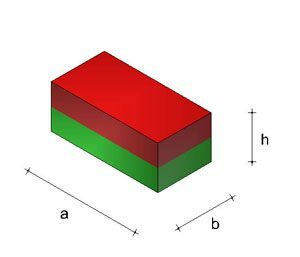 For example, the poles of a cuboid-shaped magnet with dimensions of 20x10x3mm are on the large rectangular faces. Increasing the magnetisation by 20mm would mean that the poles would be on the narrow side surfaces. 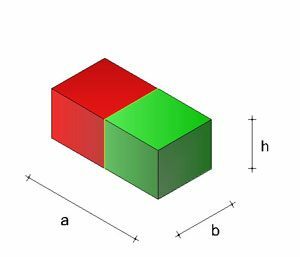 The magnetism of most of our cuboid-shaped magnets is determined by the smallest dimension (in this case the depth), and the poles are located on the large rectangular faces. 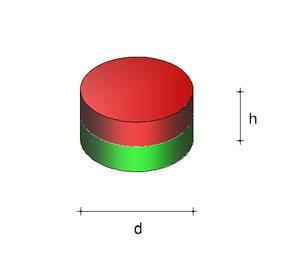 The position of the poles can be determined using cylinder and ring magnets. This essentially results in two magnetisation directions: axial and diametrical. Axially magnetised means that the cylinder, disc or ring is magnetised through its depth or height, and the poles are located on the flat circular faces. Diametrically magnetised means that the magnetic axis runs through the diameter, and the poles are located opposite each other on the magnetic faces. Rings are radially magnetised, as one of the poles (N or S) is located on the outer magnetic surface, and the other is on the inner lateral surface. Rings with this kind of magnetisation are unfortunately not yet available in our shop. Because an individual magnetisation device has to be built for each size and type, this is very expensive and is only feasible on a large scale.